Minister of Steel Chaudhary Birender Singh today said that the government is considering an increase in the budgetary allocation for research and development to boost the steel sector. The 4th edition of India Steel 2019 is organised on the theme of ‘Balancing Steel Demand & Supply Dynamics: Building a New India’ with a focus on highlighting the current trends, developments, challenges and prospects of the steel industry. 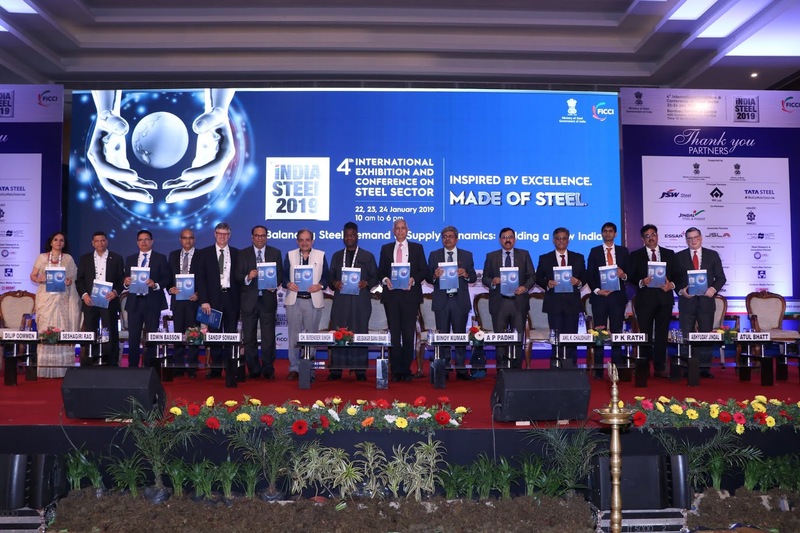 The three- day exhibition has participation of over 250 exhibitors; providing them with an opportunity to showcase their latest technologies in the arena of steelmaking to over 8,000 visitors. Also, there are 200 prospective international buyers from 67 countries to initiate business dialogue with Indian steel producers. The event will also witness 7000+ B2B meetings and hosted Reverse Buyer Seller Meet (RBSM) with delegations from CIS, AFRICA, SAARC, and Middle East to develop, and forge collaboration with potential international buyers.